HARTFORD - People with disabilities, as well as those who are in a dangerous situation and can’t talk, including domestic violence victims, have a new way to summon immediate help. Gov. Dannel Malloy announced Thursday that residents can now text 911 to call for help in certain situations. The service isn’t meant to replace a phone call to 911, but is a way of providing safety and help to those who may not be able to talk during a home invasion or other crime. The system’s new theme is “Call if you can, text if you can’t.” State officials stressed that texting 911 is not a replacement for calling - it is only intended to be used when absolutely necessary, officials said. 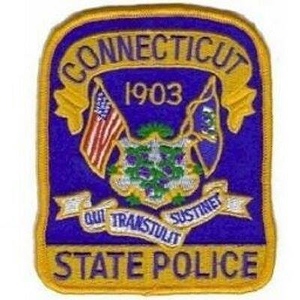 In order to use the system, a person must have a mobile device that has a mobile phone number with a wireless carrier, according to www.text911CT.org . People who can’t talk due to the situation, such as a burglar in their home, or during a domestic violence incident, should enter the numbers 911 into the “To” field and in the body of the text include the exact location where the emergency is taking place. Unlike 911 phone technology, those who text 911 must give an exact address in order to get help. People should also include the nature of the emergency and hit “send” and then wait for a response. People should also respond to any questions and follow instructions they receive through text contact with 911. The system does not allow for photos or videos and all texts to 911 must be in English. People should not include 911 in a group text alerting others about the emergency. The texts are received at the state’s public safety answering points, which are the 911 call centers operated 24 hours a day by the Department of Emergency Services and Public Protection’s Division of Statewide Emergency Telecommunications. If Text-to-911 doesn’t respond or isn’t working, try contacting 911 another way, officials said. Those who accidentally text 911 should immediately send a followup text explaining it was an accident and answer any questions so the emergency dispatcher can determine the person who texted is safe. The state will be launching a public awareness campaign on television, radio and social media to get the word out to residents. For more information, visit www.Text911CT.org . Lisa Backus can be reached at 860-801-5066 or Lbackus@centralctcommunications.com . Posted in New Britain Herald, New Britain, General News on Thursday, 23 August 2018 21:15. Updated: Thursday, 23 August 2018 21:17.